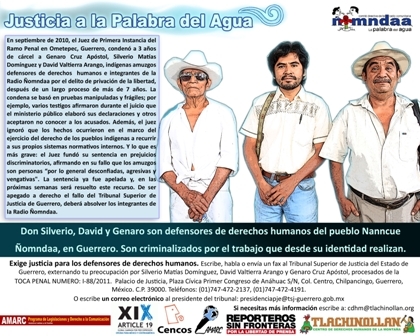 Several groups, collectives, and organizations which met in observance of the VIII anniversary of Radio Ñomndaa (“Word of Water”) in December released a communique on 31 December 2012 in defense of the San Pedro river, which crosses the Tlachoachistlahuaca and Xochistlahuaca municipalities of the Costa Chica of Guerrero. 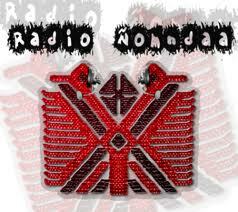 Radio Ñomndaa was born out of the struggle against cacique governments of Suljaa’. Since its birth to now it has been persecuted and criminalized. Since 2005 have taken place acts of harassment against its members and collaborators, via fabricated charges, intimidation, death-threats, arrest-orders, and detentions, which are related to the constant presence of soldiers and federal and state police. In other news, the investigator of the International Institute of Advanced Political Studies (IIEPA) from the Autonomous University of Guerrero and coordinator of the Hannah Arendt Observatory on Violence against Women, Rosa Icela Ojeda Rivera, revealed that from 2010 to 2011, feminicide in Guerrero has increased some 40 to 50 percent and that 85 women have been murdered violently in the state in what has passed to date of this year. The degree of impunity in Guerrero has been catalogued as being high, due to the fact that only 30 percent of feminicides are resolved. 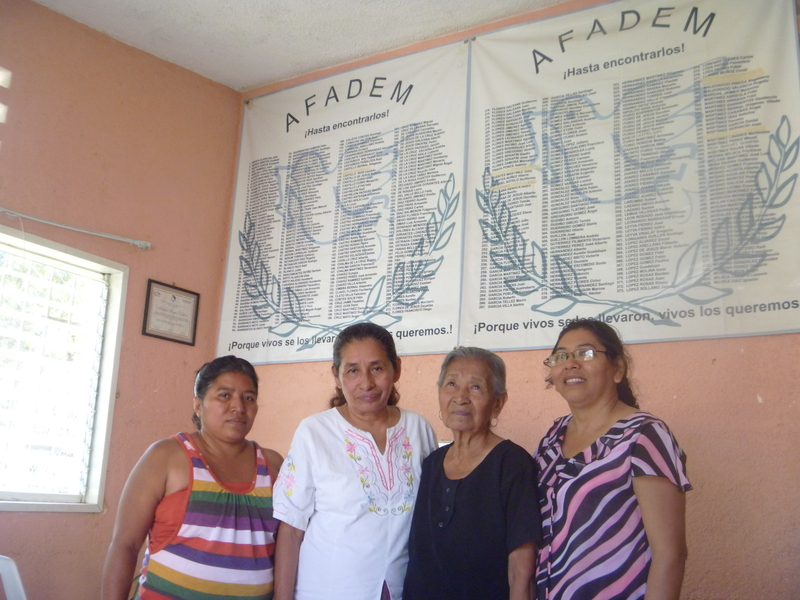 Lastly, members of the Council of Representatives of the Assembly, the Council of Ejidos and Communities Opposed to the La Parota Dam (CECOP), and the community of Salsipuedes, Acapulco, have invited civil society to attend the Seventh Assembly of the Environmentally Affected taht will be held on 30 and 31 July in the community of Salsipuedes, one of the communities that pertains to CECOP. On March 25, an order was issued for the release of Radio Ñomndaa members, David Valtierra Arango, Silverio Matías Domínguez and Genaro Cruz Apóstal, after having been indicted on charges of unlawful deprivation of liberty in the case of Narisco Garcia Valtierra. Initially, the men had been sentenced to 3 years and 2 months in prison with a fine of 1,753 pesos, and according to their defense, without any proof that the defendants had participated in the events. The same judge who ruled against the defense at first, almost simultaneously exonerated José Luis Rocha Ramírez, a member of a powerful cacique group in Xochistlahuaca, who was responsible for the injury Silverio Matías and caused the loss of his eye – a fact that members of Radio Ñomndaa considered as an indicator of lack of impartiality by the judge. One week prior, during the First Meeting of Community Radios, Free Radios and National and International Alternative Media – celebrated from March 18 to 20 in San Luis Acatlán, in the Costa Chica region of Guerrero – organizations in attendance endorsed the work of the human rights defender and member of Radio Ñomndaa, David Valtierra Arango. It was stated that through the criminal proceedings rigged against him, Valtierra has been subject to slander seeking to discredit his work as an advocate and promoter of human rights for the people of Nanncue Ñomndaa, which he has been doing since 2000. Additionally, on March 25, in the face of persisting threats, the director of the newspaper El Sur de Acapulco, Juan Angulo, stated that the newspaper’s offices in Acapulco would be closed. The employees of the paper will work from home and do additional writing and editing for the upcoming editions at El Sur’s offices in Chilpancingo. It was announced that the closure of the facilities would last until the end of Zeferino Torreblanca government on 31 March. The editor of the newspaper blamed the governor for the threats against the newspaper and the lack of security for journalists. Moreover, on the morning of March 24, army troops raided three properties without permission in the town of Tlacoachistlahuaca, allegedly looking for weapons and drugs. One of the soldiers responded to a warning shot and killed an indigenous rancher. On El Zapote ranch, a rancher awoke to realize the presence of strangers on the property, and thus shot a rifle to try to scare them away. In response, soldiers fired at the rancher, Cyril Victor Felicitas, an indigenous Na Savi man from Zacualpan, who died in one of the rooms of the ranch near the stream of Tlacoachistlahuaca. Finally, on March 28, various organizations, as well as free community radios and alternative media groups, launched the Campaign in Defense of the Territory, called: With an Open Heart Defend our Mother Earth Against Mining. This campaign comes after recognizing that between 2005 and 2010 alone, approximately 200,000 hectares of indigenous territory of the Costa Chica and Montaña regions of Guerrero have been made accessible to foreign companies by the federal government, through concessions of 50 years, during which the companies may perform activities exploration and exploitation without consultation of indigenous peoples nor acknowledgement of their rights to territory. The first stage of the campaign will be devoted to disseminating information on the problems of mining. On February 21, a hearing was held to observe the case of Genaro Cruz Apóstal, Silverio Matías Dominguez and David Valtierra Arango, members of the community radio station Radio Ñomndaa of Xochistlahuaca, following a petition for review, which was filed in 2010, after the three were issued a sentence of 3 years and 2 months in jail, and to pay a fine of $1.753,000 (pesos) for the crime of deprivation of liberty. Days later, 70 human rights advocacy organizations and members of the National Network of Civil Society Organizations for Human Rights “All human rights for all ” in Mexico, sent a letter to the president of the High Court of Justice of the State to resolve the case impartially and in accordance with the law. The organizations expressed their interest in the review of this criminal case considering that there have been many irregularities and the fact that the judge has not assessed that the alleged victim, Narciso García Valtierra, claims to not know the defendants and was not deprived of his liberty. The Center for Human Rights Tlachinollan, which bears the legal defense of the case, is seeking the support of civil society, spreading a postcard on the event web sites and sending letters to the President of the High Court of Justice. 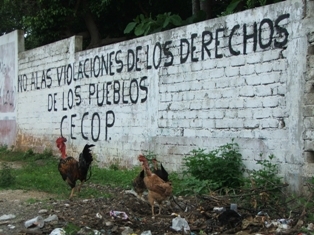 Additionally, in the previous months, the Regional Coordinator of Communal Authorities – Community Police (CRAC-PC) and communities of Guerrero’s Montaña and Costa Chica regions, have been organizing against mining exploration, by the Hochschild and CAMSIM corporations, which is underway in the region. They claim that communal territories and the CRAC are threatened by transnational mining interests. 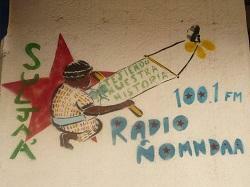 Communities are now struggling back and organizing through community radio La Voz de La Costa Chica. At the risk of entering the mining areas of the Mountain and Costa Chica, the CRAC-PC, Radio Ñomndaa, the Zezontle Collective, the Zapateando Collective, the Free Media Network and the Center for Human Rights Tlachinollan, held a meeting and workshop for community radio and independent media interested in supporting the informative and organizational processes of the peoples inhabiting the region. This event, to be held on March 18 and 19 in San Luis Acatlan, is to broaden the strategy of defending the territory, culture and environment. On Januray 12, the Guerrero Network of Civil Society Human Rights Organizations (Red Guerrerense) expressed support for Genaro Cruz Apóstal, Silvero Matías Domínguez and David Valtierra Arango, members of the Xochistlahuaca autonomous radio project, Radio Ñomndaa, against whom legal proceedings continue. Despite having presented sufficient evidence of their innocence, the men were sentenced to 3 years and 2 months in prison and are being forced to pay a fine of 753-thousand pesos on charges of illegal deprivation of liberty against Narisco García Valtierra. A communique from January 5 demands that the High Court of Justice for the state of Guerrero carry out an independent an impartial review of the appeal, to restore justice and pay compensation for damages and injuries to Silverio Matías Domínguez, who lost his sight after being beaten. Judgement on this specific case is expected to be delivered this week. Additionally, the Mexican Commission for the Defense of Human Rights (CMDPDH) considered it important that the Supreme Court of Justice (SCJN) has assumed responsibility in the case of Rosendo Radilla so the Attorney General’s Office (PGR) will deliver copies of the preliminary investigation of the case. According to the CMDPDH, this decision will open the way for justice and abides by the decision of the Inter-American Court of Human Rights (CIDH) of November 23, 2009. 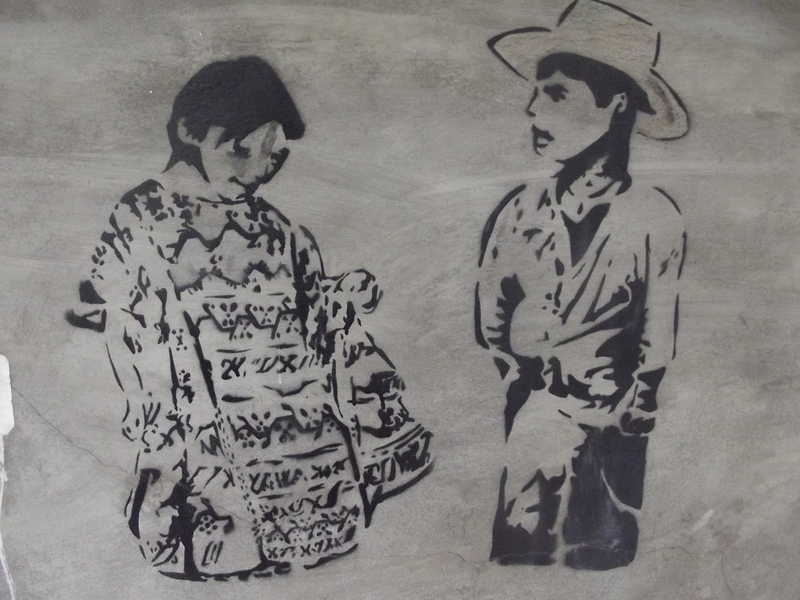 Rosendo Radilla was disappeared in 1974 at a military checkpoint in Atoyac, Guerrero. To date, his whereabouts are unknown. The sentence of the CIDH established the responsibility of the Mexican state in his disappearance. Also, on January 14, the Commission Against Torture and Impunity (CCTI), released a bulletin 4 months after the forced disappearance of activist Victor Tapia Ayala, leader of the Hermanegildo Galeana Freedom Front. The communique states that: “[…] so far, his whereabouts are unknown; the authorities do not report the progress of the investigation and his family, friends and colleagues continue carrying pain and rage in their pursuit of justice. Since he was alive when he was taken, we want him back alive”. Also expressing “we reaffirm our demand that the authorities conduct a thorough, independent, impartial and exhaustive investigation” of the case. On December 14, roughly 600 supporters of the hydroelectric dam, La Parota, demonstrated outside of the United Agrarian Court (TUA) 41 to demand the resolution of the challenge to the April 28 assembly filed by the Consejo de Ejidos y Comunidades Opositoras a La Parota (CECOP) and warned that in the event of a negative vote, they would convene another meeting, “but we are going to succeed in continuing the project.” The demonstrators were received by the Secretary of Agreements, Jorge Paniagua Salazar, who said that his duty is to listen to all parties, “to come to a fair resolution”, and that the date of the resolution was already “nearly” here and would be finished on that same day. It was also on that same day that the TUA received two amicus curiae letters from leading academics, as well as national and international organizations. These documents concern the right to consultation and land law, reaffirming the arguments of hundreds of letters in opposition to La Parota. Lastly, on December 13, David Valtierra Arango, founder of Radio Ñomndaa, declared that “despite the persecution and aggression of the three levels of government”, Radio Ñomndaa will celebrate the sixth anniversary of the autonomous radio project on the 18 through the 20 of December in the municipality Suljaa’ (Xochistlahuaca). The event will include a series of activities such as discussion tables, cultural events, live broadcasting of programs by invited organizations and popular dance. The discussion tables will be centered on “finding tactics that permit free expression of community media and building a common and comprehensive defense against attacks by the oppressive system. “The anniversary of Radio Ñomndaa will be a celebration of having succeeded, with great effort and resources, in transmitting the voice of the people”, said Valtierra.